Our latest casino ranking, for April 2019. We rank the casinos according to our OWN favorites, not because they pay us more! Despite the prejudices and even if some bad examples still exist, the field of online casinos has evolved a lot in the last few years on a global level. It has developed into a real industry, organized into large groups, some, such as Bwin, 888, Betfair and still others have even gone onto public stock markets. 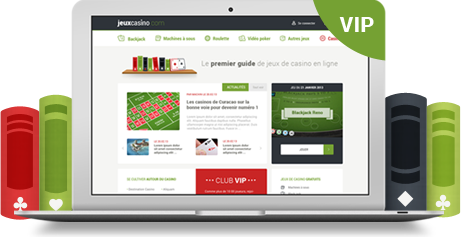 Within this page, we will attempt to respond to the most frequently asked questions concerning the subject of online casinos. Who are they? Are they legal, trustworthy and serious? Aren’t there problems with cheating and alleged scams? Are they serious about their bonuses and offers? Under what jurisdiction are these casinos licensed? Although the first online casinos opened in the middle of the 1990s, the poor quality of Internet applications mostly halted their growth. In addition, the first casino websites on the Internet didn’t have the necessary infrastructures to assure optimal security in the processing of bank transactions. Nonetheless, this period coincided with the emergence of the large groups we know today, which were essentially developed around online casinos, like Playtech and 888. But, little by little, online casinos were integrated into the product line of gambling bookmakers. And for Betclic, Bwin, Betfair, William Hill, and even Bodog, casino acts as a cross-seller proposed to their gambling clientele. Some companies specialize in the development of casino games like Netent or Micrograming; their primary activity is not online casinos. Online casinos are operated by standard companies that operate under a jurisdiction that authorizes the practice of real money gambling online. Under such jurisdiction, online casinos must comply with rather strict specifications concerning such measures as: having secure enough servers to support all bank transactions, the approval of their random number generating software, and the constant fight against money laundering. Among all of the countries with online gambling licensing, the United Kingdom (UK), Malta, Gibraltar, the Isle of Man and the Canadian province of Kahnawake are certainly the most serious. Online casinos in regulated markets: In countries like England, Malta, Italy and Spain, online casinos are regulated by the State. They are therefore legal and there are no ambiguities about them. Online casinos in “grey” markets: This refers to markets in which the legislation is not totally clear and in which the subject of online casinos is still under debate. The example of Europe: European law authorizes online casinos that have a license in one of their member countries (in the name of the free movement of Goods and Services). In contrast, some member countries prohibit it. Who should we believe? Europe? Its members? Casinos online operating in “black” markets: This refers to online casinos that operate without the licensing of a regulated market (such as 5dimes.com) or in a territory that officially prohibits online casinos (United-States, Unlawful Internet Gambling Enforcement Act of 2006). In light of the double-digit growth in the online gambling industry, many companies are focused on the development of casino softwares. These developers (or online casino programmers) provide online casinos with a gaming platform with or without having to download (flash) the games. The primary game developers today are Playtech, Netent, Microgaming, Sheriff Gaming, Real Time Gaming, Betsoft, etc. The first thing to look for when you are searching for an online casino is the legality or lack thereof for that site in your jurisdiction. If that is the case, you can navigate to the guidelines for online casinos in order to select the most appropriate casino for you. One of the most important criteria to verify concerning online casinos is their gaming license: do they have one? Where is it from? (Refer to the related section above). Generally it is preferable to choose an online casino licensed by the United Kingdom or more generally from somewhere within the European Union. The bonuses and offers of certain casinos might seem like scams. In fact, wherever you choose to deposit your money in an online casino, you are eligible for the bonus. But should you take it? Always verify the conditions associated with a specific promotion code, because it is often necessary to play a minimum of 20 to 30 times with your bonus before being able to cash-in (playthrough). It is a very difficult question then, and you need to study the terms in each case and which casino game they apply to.